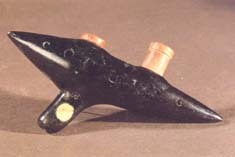 Ocarina, invented by Giuseppe Donati at Budrio in 1853. 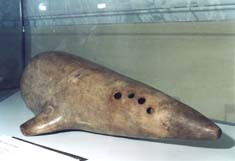 The ocarina of Budrio - known now simply too ocarina - is a musical folk wind instrument, belonging to the flute family, and is in fact a flute earthenware globular shaped elongated oval, just like a small goose without head, with a ' mouth to the side, and in the body practiced various holes, discovered gradually while simultaneously blowing into the mouth, giving the extension to eleventh. Besides the diatonic is possible, by means of a typing composed, also perform the chromatic scale. The tone varies with the size, from very shrill and penetrating into smaller, more dark and round in the largest. 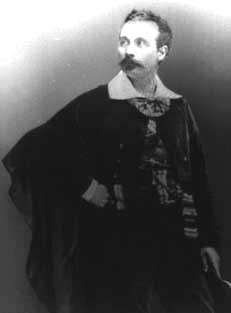 Donati, named Joseph, who was born in Budrio 2 December 1836, had already traveled the elementary schools, the Latin; He had learned music theory and piano; She played the clarinet in the band Budrio - his home town - and the organ in churches; when it occurred to him to make a joke. 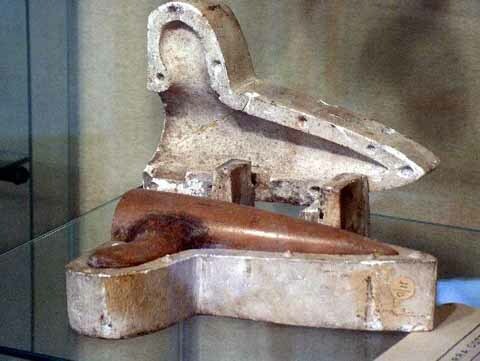 He imagined, that is, a musical instrument similar to ocarinas terra cotta which still sell in exhibitions, his beak, tail glue and pot-bellied. The difference between them and that was the musical genre. 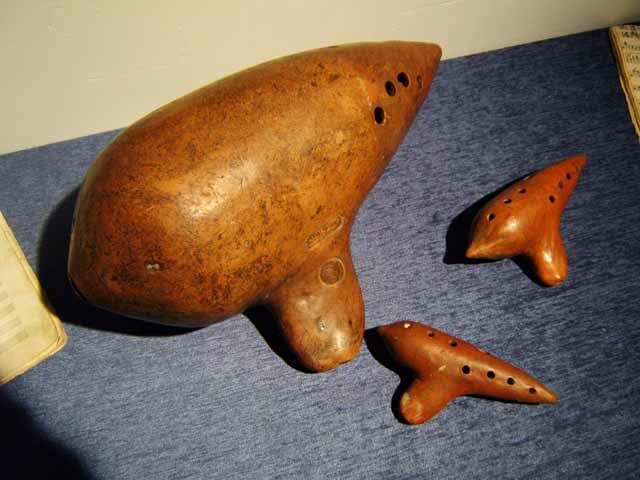 As the ocarina, internally empty, with open beak with four holes to the sides, he was playing. With it you could run some easy melody, though written into the extension of an octave. The joke pleased the musicians Budrio and Donati I conceived another, this time, however, no sound. He performed with the clay an object resembling a cornet. But continuing to handle it, the object snapped: fell the mouth and the conductive barrel of breath. 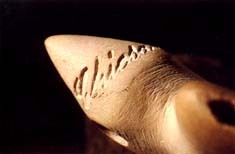 The surviving part maintained a form that proved to Donati final ocarina, that intended to popularity. He gave it to fabricate other piercing holes for all ten fingers in comfortable positions. They spent feverish days pel young inventor, then seventeen years. All Budrio followed him and hoped in him. The present city of ocarinas, as well as noodles, so dear to the Bolognese who choose it to the destination of their walks festive, foresaw his fate. The Ocarina of Donati, in fact, bathed in glory ... The first flash of light enveloped her when Donati had made five ocarinas, of different sizes, which included together, between bass and treble, an extension of notes equal to that of the piano. 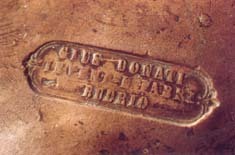 The five instruments passed to as many players chosen among the most passionate musicians Budrio, including the Donati. They formed the "Concert of ocarinas" and created happiness of the country for a few weeks, went around every night, playing in taverns and private houses. Their repertoire at first did not understand that dance music, then also he Accustomed to opera music. The concert performed by none other than the Miserere of Trovatore and La Traviata Prelude. His fame soon crossed the city walls, reaching many kilometers away, for example in Molinella. Molinella in theater acting, then, a company of comedians, but business was bad: the deserted public and fasted comedians. It needed a show that would evoke people here found: the ocarina of Budrio. The impresario of the unfortunate theater went to parley with the concert of ocarina, offering their trip and free dinner. There were only eight kilometers to do between Budrio and Molinella and the proposal attracted the musicians. - Memorable evening was for the musicians and for Molinella that of the concert. The theater: "a full house". They gathered countless applause for the performers and so much money for comedians to offer the way to them never to be seen again. 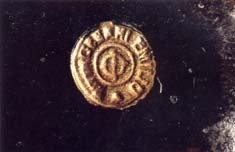 Having started with an act of charity, he brought luck to the concert. Their success was reported immediately by a regional Bologna. From this city parts immediately at a time of Budrio the owner of Brunetti theater. The shrewd owner scritturò the quintet for two concerts in two hundred pounds apiece. It was a triumph. The public wanted the whole program replication. The quintet's fortune was made. This came from Bologna to Ferrara, then in Padua and Trieste. Here began the first opposition: the impresario kept for himself gl'incassi. The players thought that playing for nothing was too little. Then they found a less selfish impresario who signed them to Rome. The writing was original: it was perform pieces including an intermission and the other opera Rigoletto, Argentina, and all seventy pounds for each player. After the stay in Rome here are the players on the way back. Via Fano their countryman invites them to give a concert in the theater. But the reward - two hundred pounds in all: more than that is not possible - does not meet the low, who ruled for the first time his motto: "Me to poc an Sòn Brisa!". The concert is not given and the quintet continues its road, now stirred by resentment. In Rimini, another fellow musicians to renew the proposal addressed them in Fano, under identical conditions. But the low intervenes and repeats: "Me to poc an Sòn brisa". Things take a turn for the worse. The bass has a difficult character. The quintet now is no longer in agreement as before, stuona, is divided into two trends, one of which is represented by the low proud. Fortunately, the group meets in a Chinese company - Prestige gamblers - with which he went to Trieste to give performances. In Trieste another fissure between players and Chinese. These do not meet the contractual agreements and the others go back in Budrio. The quintet died where he was born. 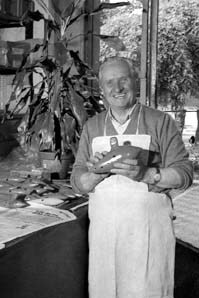 The ocarina inventor returned to the clay tool factory. He went every Sunday to sell to neighboring fairs, with great success. Also it manages to combine the wonderful business with traders from Germany and Austria. 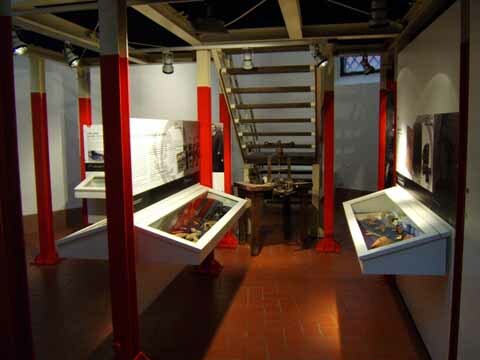 Then he transported from the factory in Bologna Budrio, and - after many years - from Bologna to Milan. Thousands of ocarinas are out of his hands, he earned thousands of pounds. Donati now says: "I was rich but the I-CIAPE from large batoust!". By this he means that many family misfortunes have opened the large holes in the finances. Until recently, the old man lived in a room of the house, now demolished, via Palestrina. We visited him. The inventor was one of the evicted, is distressed by not being able to find a home, afraid of becoming a "homeless". 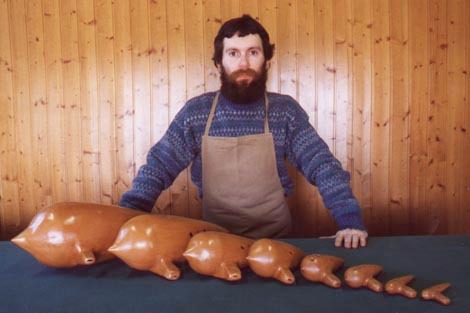 For him move house was much of a problem: where to find another bakes ocarinas. He seemed in via Palestrina one of the old mysterious, legendary, seeking the elixir to live forever: with a grand dressing gown wrapped around his bony body and long, with a dark nightcap in chief. The robe was as old as him, tinged with dark colors, various, unspecified; torn and greasy. And his face was enlivened by septuagenarian shining eyes, furniture, acute; by the whiteness and the fluidity of the beard; from his witty expression, petroniana ... Instead of filters had around ocarinas, tweezers, molds, clay blocks. He is working as he had eighteen years: ended as it had begun. 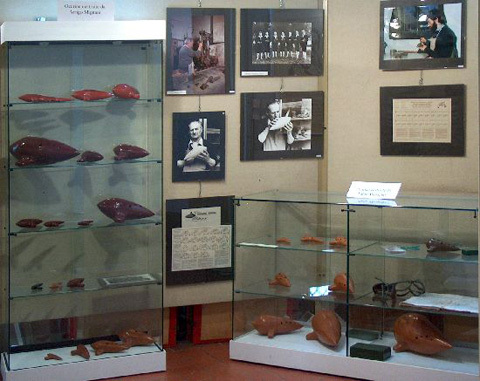 The first manufacturer ocarina was the same inventor Giuseppe Donati, who formed a special laboratory, first in Budrio, then in Bologna, finally Milan. 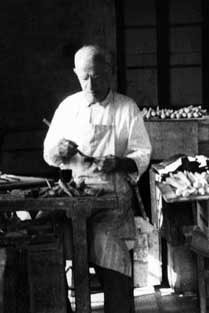 In 1870 they began making ocarinas in Paris two Budriesi, already members of the local Ocarinistico complex, Ercole and Alberto Mezzetti, who then parted, and Alberto opened his own workshop in London. 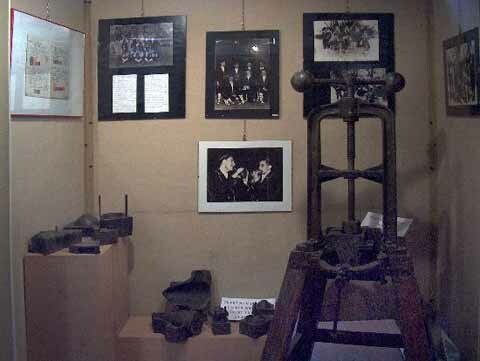 Weights for the construction of ocarinas made by Cesare Vicinelli that use from the 800 and bequeathed it to Guido Chiesa who used it until 1964. 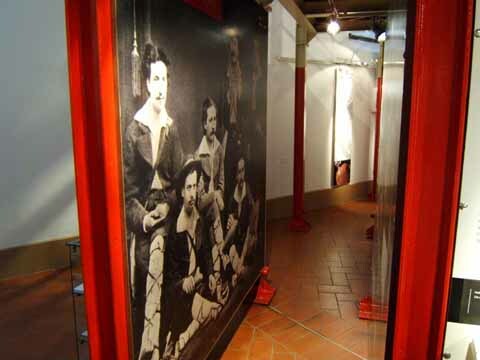 In 1878 in Budrio when Giuseppe Donati had already emigrated to Bologna, Cesare Vicinelli began to manufacture ocarinas in the place called "Fornace Silvani". The son of a kilnsman and he fornaciaio expert, also a good knowledge of music and musician, as well as the ocarina, guitar, trombone and euphonium, made ocarinas they met very quickly please, the sound quality, intonation and aesthetics; well he conceived of molds, so that he could produce ocarinas in much higher quantities to that produced by Donati himself. 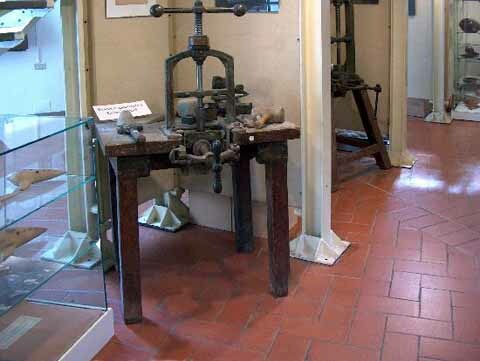 Cesare Vicinelli, when he died in March 1920, leaving his laboratory and his house, all the furniture and all the tools, Guido Chiesa, who already twenty-four years he helped behind occasional compensation. 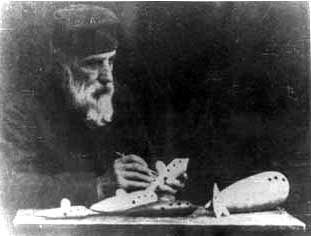 Guido Chiesa, born in 1884, had then already thirty-six, and until then had lived mainly working with their parents, who were gardeners. 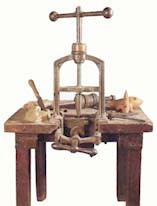 By Vicinelli who worked surrounded by secrets, he had not learned much; but with his tools, ingenuity and remarkable musical instinct was able to preserve the good name of Budrio laboratory. Fabricated on average twenty to thirty ocarinas day, then sent a little in all parts of the world. 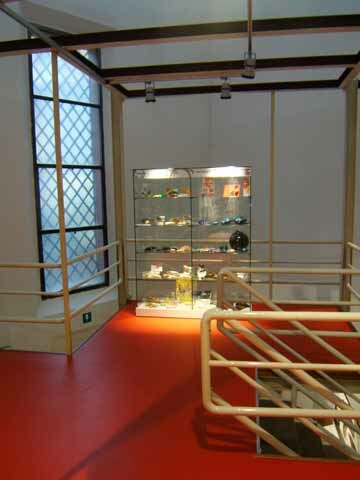 Contemporary Church is another Budrio: Emilio Cesari. 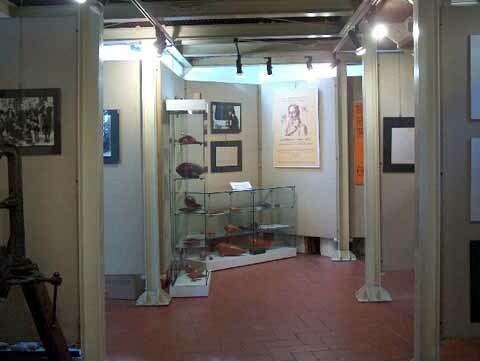 Connoisseur of music and talented horn player, the Caesars had worked in the laboratory of Caesar Vicinelli While still a student of the Conservatory of Bologna, and had then equipped its own laboratory, in the locality of Budrio Crete, where he had made ocarinas 1920-1927 in the latter year he emigrated to Bologna. From 1925 to 1927 the group Ocarinistico Budrio had also directed, which he reorganized and became so also a skilled ocarinista, but after the then no longer performed in public with that instrument, except in amusements of family character. He moved then to San Remo, as orchestra musician Casino of that city, in 1940 there had also resumed its activities automaker ocarinas, which was soon to acquire some renown both in Italy and abroad. 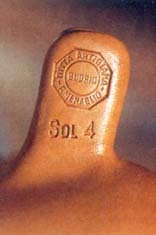 Other manufacturer Budrio was Arrigo Mignani, joined the concert of ocarinas budrio in 1963, he became interested in the construction of this instrument. He contacted the Church by proposing to detect the activity and asking him to teach him to produce ocarinas. church claimed on the sale of the figure of twenty million, an exorbitant sum regarded by Mignani that in those years had bought a small house to the tune of three million. He was able to get in touch with the heirs of Emilio Cesari who buckled to one million the equipment, now unused, the Sanremo manufacturer. 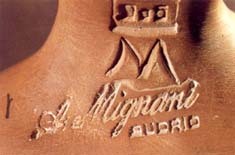 In 1964 Mignani could present its first concert full Budrio ocarinas and so continued the tradition for twenty-eight years. Fabio Menaglio a craftsman to the purity of sound service. Fabio Menaglio, born December 2, 1967, he graduated from the institute professional for the industry and the craft, his first experience working on a mechanical designer and programmer. He studied for several years classical guitar and music theory at a master of Consevatorio of Bologna and now dabbles in piano and organ, and of course nell'ocarina. A type of few words, dedicated to the continuous search of perfection twenty-nine years that the monk's beard and ascetic attitude make it seem more, carries on his shoulders the responsibility not indifferent to continue with dignity the ministry craftsmanship, tradition and heritage of the instrument. 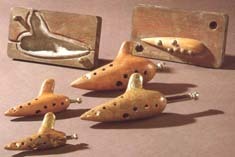 But he does not seem at all worried, in fact, having the extraordinarily clear ideas in business, has decided to make a qualitative leap ocarina taking away even the last semblance of "musical toy" or "tool for the holidays, fairs, dancing in the streets ", that is, refining it to the point to be a real concert instrument. 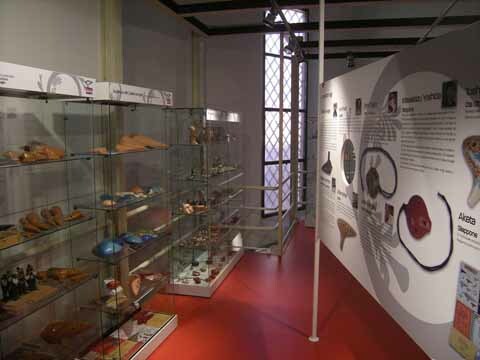 One day he learns that the manufacturer of the ocarina of Budrio, Arrigo Mignani, would close its doors virtually without leaving heirs; then grasps the idea of undertaking a craft related to the music and to their land: the builder of ocarinas. 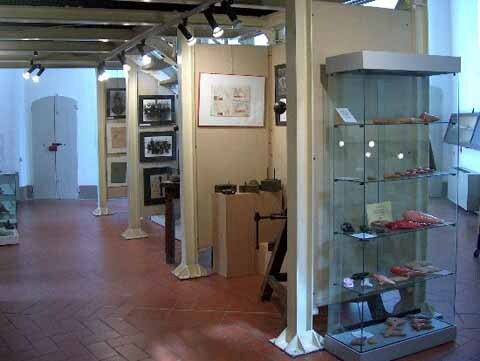 At that moment the ocarina is an instrument which has nearly one hundred and forty years; from the first specimen, made ​​in 1853 by Giuseppe Donati, have come and gone many manufacturers some of them in very distant locations from Budrio. 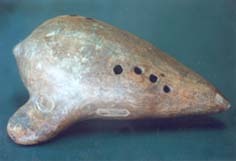 He realizes that over the years had changed both the form and the musical qualities of the ocarina, to work of builders who had sought a greater production, at the expense of those musical quality present in ocarinas inventor and especially in those of Caesar Vicinelli considered by all the "Stradivari" of ocarinas. 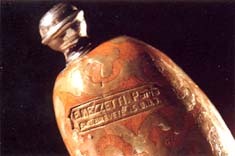 it is in fact the manufacturer Vicinelli that Fabio is Menaglio inspired by that time. He with all the means and the experience conquered in his studies and in different trades carried out until then, began to analyze and compare the work of Vicinelli up pure essence. In fact, his story is not of a workshop apprentice, but that of someone who has been able to rediscover the authentic traditional vein of an instrument that would otherwise be dead among the factual inaccuracies that two generations of lesser sensitivity builders had safely passed. 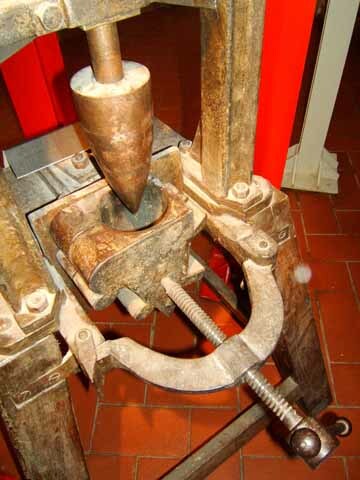 once you have identified the perfect fit and the right proportions, the prototypes of "Ocarina Concert" by Fabio Menaglio have been tried by the musicians of "Ocarinistico Group Budriese" which they immediately appreciated the excellent musical quality, addottandole instead of the less sophisticated instruments which for many years had been using. With a meticulous and precise production of excellent artistic quality, since 1989 Fabio Menaglio is a strong network of international customers is built. One for all of Japan, the first foreign customer, where the existing Ocarina of Budrio Fabio Menaglio is much appreciated and marketed by houses leaders of musical instruments. Other countries with which it has consolidated in recent years constant supply of his ocarina relations are Germany, Austria, Switzerland, the Netherlands and Canada.